Nano-Optonics Energy has just launched a new wheelchair that will hopefully replace the conventional wheelchair. This version can do things a standard wheelchair can’t. 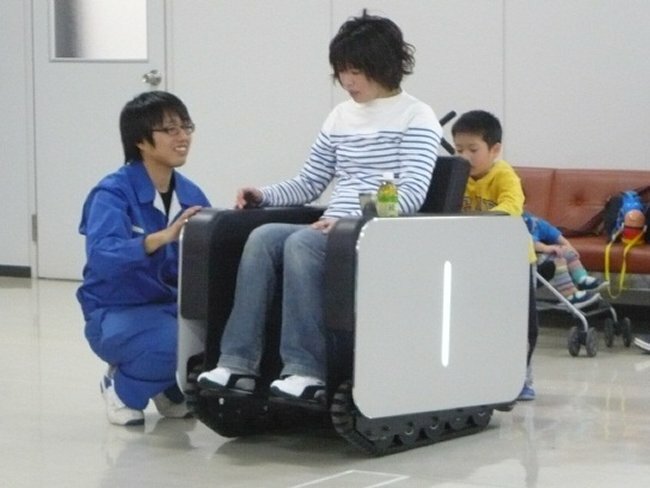 The “Unimo” is a one-seat electrical vehicle that is capable of traversing nearly any terrain thanks to its rubber crawler tracks instead of wheels. It can turn a full 360°, has independent suspension and can climb over a step nearly 6 inches high. Basically it goes where traditional wheelchairs fear to tread. This one could go on the beach or over rocky terrain. The company will be selling these to hospitals to start, then later maybe individuals can get one.